Today we didn't really celebrate Robin's birthday as we did so last weekend together with Lucas, but we did put him a little bit in the sunshine. The rest of the day was spent cleaning out the house because Marjolijn and Sebastiaan will be sanding our living room wooden floor this week. 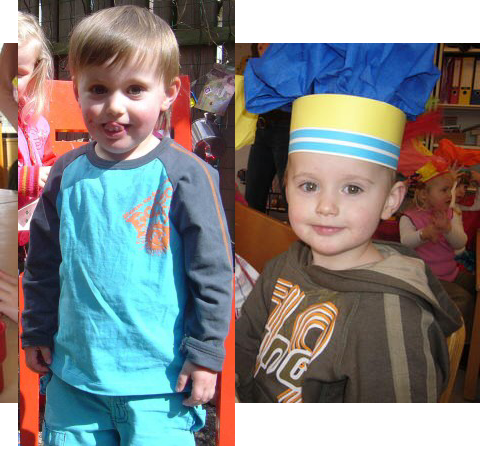 The kiddos will be staying at their daycare Mum celebrating Robin and Lucas' birthdays together on Monday (tomorrow). Furthermore they'll have plenty of time to play with all their mates, so summer vacation really can start for them! We wish you a great year Robin, starting school and all ;-) Good luck big boy! Post a comment on "Robin 4"